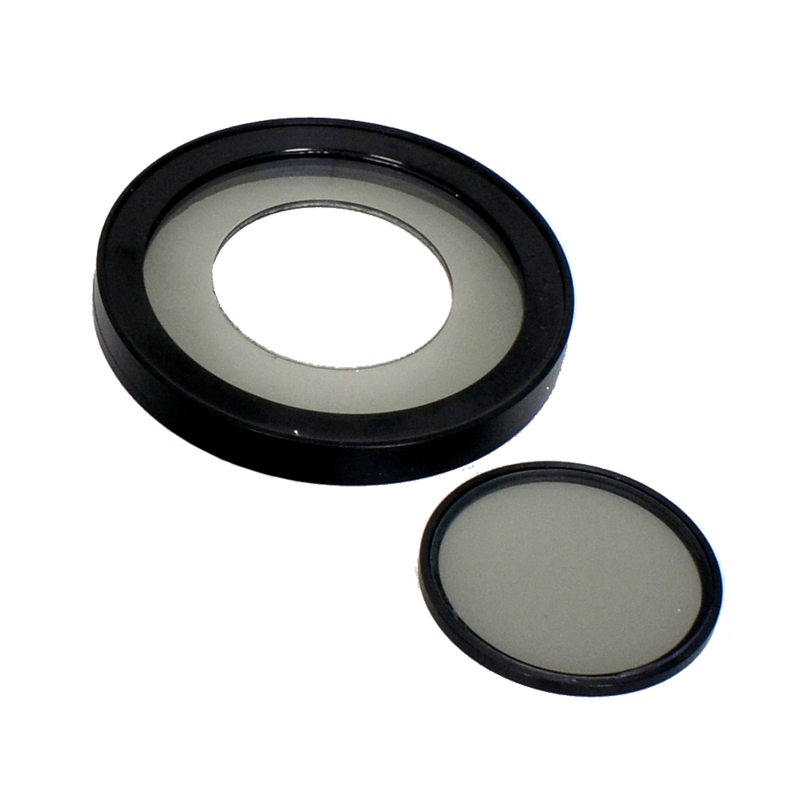 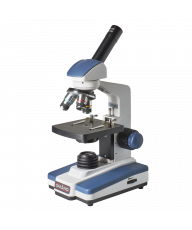 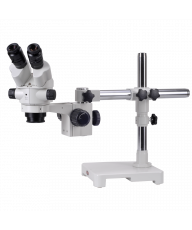 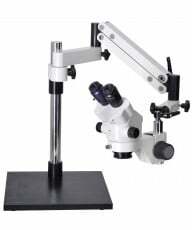 Designed for electronic inspection applications where electro-static discharge is a serious concern, this high quality 8W LED microscope ring light is ESD safe and UV free. 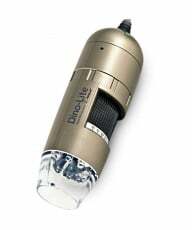 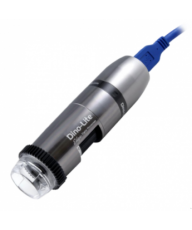 The illuminator includes 8 Long-life LEDs operating at 6-7000k color temperature, powered by a variable brightness controller and On/Off switch. 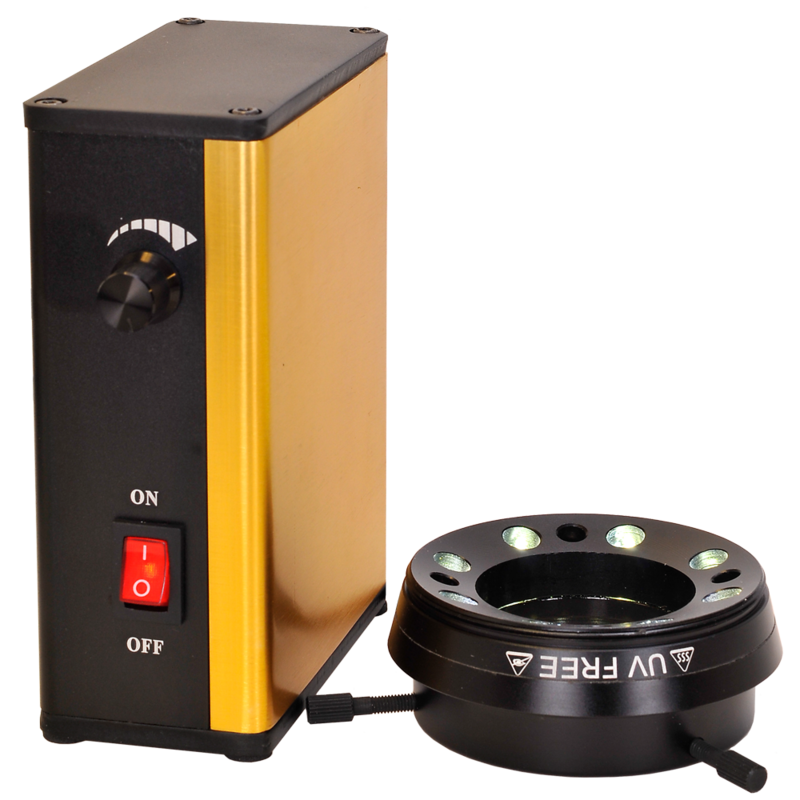 The unit meets RoHS compliance standards and is UV-Free. The ring light has a 61.5mm maximum internal diameter to fit most objective housings and a 57" power cord allows flexible placement options and an optional polarizing filter reduces glare.